Do you KNOW how hard it is to to take a picture of a butterfly? The fields around our house are flitting with dozens of butterflies this time of year.. oranges, yellows, whites..
Of course there are Monarchs, too. My favorite are the black butterflies, the Pipevine Swallowtails. 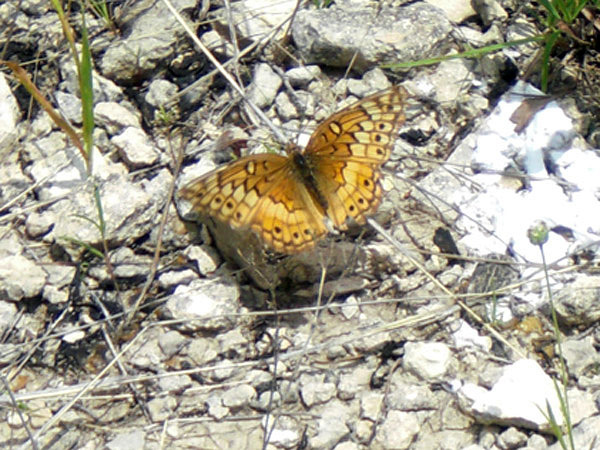 I believe these are Variegated Fritillary butterflies, or Euptoieta Claudia. Even it’s scientific name sounds beautiful! 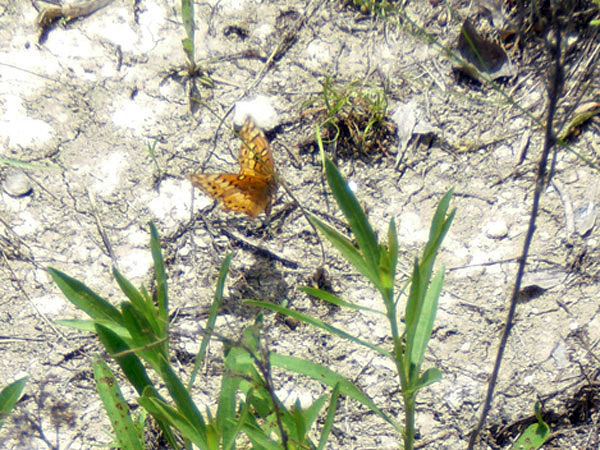 These pretty little butterflies can be found all over nearly the entire state of Texas. You should check out the pictures on that link (the ones taken by people who actually know what they are doing..) it’s a very beautiful little creature. Recently the kids and I have been learning a bit about butterflies, and we found a ton of videos on YouTube showing caterpillars making their chrysalis and the butterfly emerging from it. AMAZING. These two were my favorite, because they were so short!! The kids enjoyed it, but we learned a lot, too. (Like butterfly caterpillars make a chrysalis and moth caterpillars spin a cocoon. I did not know that!) We noticed it while we were watching videos so we looked it up and yup, it’s true. One thing that struck me as I walked among the butterflies yesterday, is how often I overlook them. I’m sure there weren’t any more in the yard yesterday than there were the day before! I’m just too busy to stop and pay attention. I am…too busy. As you’re out and about today, I wonder if you’ll see any butterflies? This post has been happily submitted to Sweet Shot Tuesday at Life With My 3 Boybarians. Life is sweet – go take a taste. Beautiful shots! And yes, butterflies are VERY hard to photograph. I love butterflies. They hold a very special significance for me, tied into my faith, and I actually got my very first tattoo a few years ago of a crucifix and a buttterfly…I have the story behind it somewhere on my blog…I’ll have to dig it out and send you a link. But my point is, yes, I always notice the butterflies. Now. I didn’t use to though.